Prior studies of information technology (IT) capability mostly focused on dimensions and effects of IT capability at intra-organizational level in western context. This paper extends intra-organizational IT capability to inter-organizational IT capability, specifically examining process-oriented inter-organizational IT capability from a process-oriented perspective in an emerging market context. The authors use survey data from Chinese firms to identify dimensions of inter-organizational IT capability and validate its scale, compare the differences of inter-organizational IT capability in firms with three types of ownership structure, and test the relationship between these inter-organizational IT capability dimensions and firm performance. A comparative analysis reveals that seven inter-organizational IT capability measures identified in Chinese context are extended or more important than in the Western context. Empirical results show that inter-organizational IT capability varies between state-owned enterprises and non-state-owned enterprises. It is also found that four dimensions of inter-organizational IT capability have different impacts on firm performance. Inter-organizational information technologies surpass the internal limits of organizations, and undoubtedly influence the development of distinct organizational capabilities, including the way the company performs activities and manages external information. 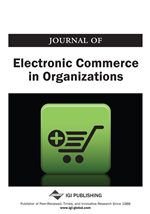 Therefore, many large and traditional firms invest in business-to-business e-business technologies to strengthen online connections with customers, disseminate product information, facilitate transactions, improve customer services, and manage inventory via electronic links with suppliers (Zhu, 2004). The rapid and efficient flows of information demanded by business globalization make information technology diffuse from the developed to the developing countries. In fact, e-business has made important contribution to Chinese economic development and obtained more official attentions. According to official statistics published by the Ministry of Commerce of the People’s Republic of China, the e-business transactions amounted to 3.83 trillion (an increase of 21.7%) in 2009. E-business has been widely penetrated to all areas of social and economic activities, and become a new tool for Chinese firms to enter new market, reduce cost, change business model, and enhance competitiveness in the global competition setting. Although e-business technology is increasing in popularity, firms generally fail with it (Zhu & Kraemer, 2005). Earlier work suggested that investing more IT funds helped firms achieve greater competitive advantage and better financial performance (Johnston & Vitale, 1988). But later work showed that IT investment is solely an important and necessary IT resource, and that firms could leverage IT investment to create IT business value through IT capability (Bharadwaj, 2000; Ross, Beath, & Goodhue, 1996; Stoel & Muhanna, 2009). However, most IT capabilities are identified and measured at functional or firm level. Not much is known about the constructs of IT capability at the inter-organizational context. Moreover, culture plays an increasingly important role in information systems initiatives. It not only influences the IS development process, but also moderates the relationship among the development process, the characteristics of the IS, and acceptance and resistance (Kappos & Rivard, 2008). Prior IT capabilities are studied in the context of developed countries, especially of the USA, but little is known about IT capability in the developing country setting. Particularly, we suggest that China provides a different context, because the prevailing paradigms for collective economic and social arrangements differ substantially. Thus, it is important and necessary to address inter-organizational IT capability in China demonstrating a significantly different culture. This study attempts to fill these gaps in the IS literature by conceptualizing and measuring process-oriented inter-organizational IT capability and investigating the linkages among inter-organizational IT capability, ownership structure and firm performance in Chinese context. Key research questions motivate our work are: what constitutes firms’ inter-organizational IT capability in Chinese context? How might such a capability be measured? What kind of relationship might exist between organizational ownership structure and inter-organizational IT capability? How are different dimensions of inter-organizational IT capability related to perceived firm performance? To answer these questions, we conceptualized the inter-organizational IT capability grounded on the resource-based view of the firm. We then gave a logical analysis of why national culture and ownership structure may have impacts on inter-organizational IT capability dimensions, and discussed how inter-organizational IT capability is related to firm performance. Following this, we proposed a set of measures for inter-organizational IT capability at inter-organizational level. Further, we collected data to validate these measures and examined the linkages among inter-organizational IT capability, ownership structure and firm performance. Finally, we concluded with a discussion of implications for theory, practice, and future research directions.